Confidence is the key to success but over-confidence is a performance destroyer. Confidence allows you to bounce back from mistakes. Most of all, confidence pushes you to play to your capabilities. And what builds confidence is preparation. Over-confidence interferes with your determination. 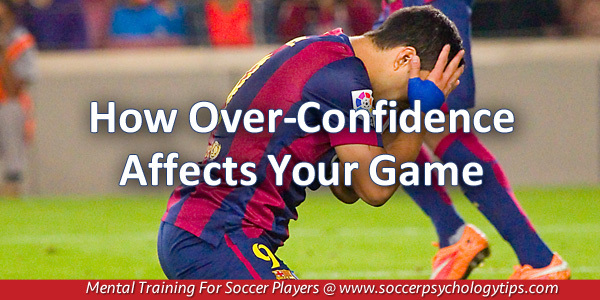 Over-confidence creates a lackadaisical response to mistakes. Over-confidences calls you to do just enough in a half-hearted attempt to win. Over-confidence neglects to prepare fully because you believe the game to be a foregone conclusion. Tony G. is a goalkeeper for his Division II soccer team. Tony’s team had not only won five straight games, but they gave up zero goals during that stretch of victories. Tony felt indestructible in goal, so much so, take he stopped his routine pre-game preparation. Tony didn’t warm up his body the same way he normally did and he did not aggressively attempt saves in the team’s shoot-around. In a game against the cross town win-less rivals, Tony gave up a goal ten minutes into the game. The goal should have been a routine save. Five minutes later, Tony let in another goal when he froze on the shot. Tony was pulled from the game after giving up another goal and his team ended up losing 4-0. When you are over-confident, you start out slow and allow the other team to believe they can win. After you find yourself trailing in a game, you feel you can flip the switch but often you play at a frenetic pace which leads to under performance. The US Men’s National Team suffered a devastating loss and elimination from the World Cup for the first time since 1986. The US men’s national team needed only one point against Trinidad and Tobago to keep their World Cup dreams alive. After a lackluster first half, the USMNT found themselves down 2-0 after the first half. The US squad only managed to score one goal in the second half and lost 2-1 and was ultimately knocked of the World Cup. Arriola pointed to over-confidence as the possible culprit for the loss. 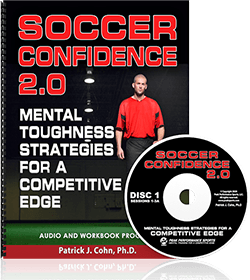 When you are over-confident, not only do you neglect your physical preparation, you also neglect the mental preparation which is a prerequisite for success. 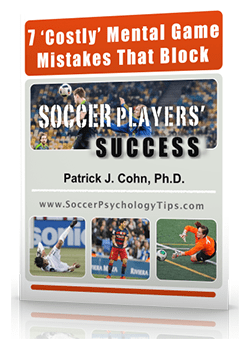 Understand that past performances do not guarantee results… Each game has new challenges. You need to prepare for those challenges by maintaining the same level of preparation you have in the past. You also must focus on competing at your best during the game in front of you.